Never to be forgotten . . . always in our hearts. 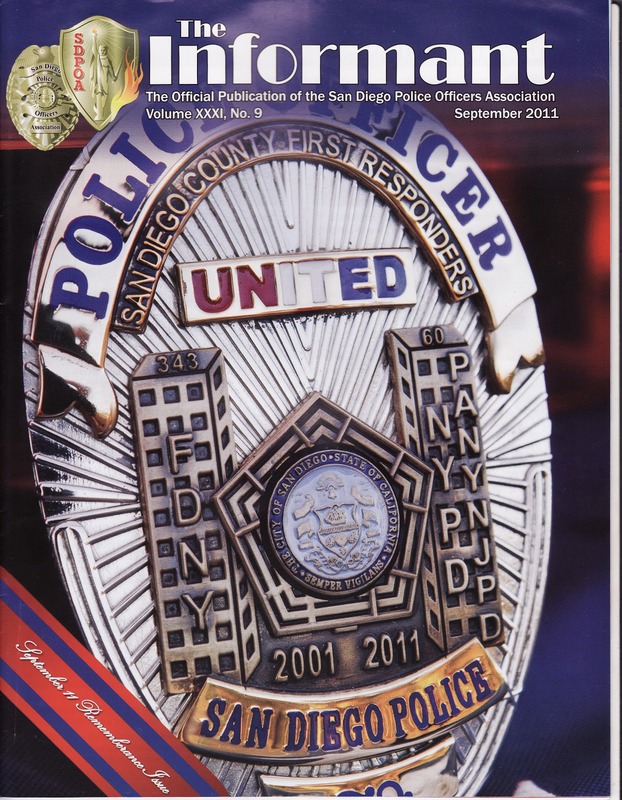 The special commemorative shield designed for San Diego County First Responders Firefighters, Police Officers, and Port of Authority, in the photo above, is being worn over my husbands heart on his Police uniform for the month of September, remembering each day what our country went through and those we lost and in memory of 9-11. 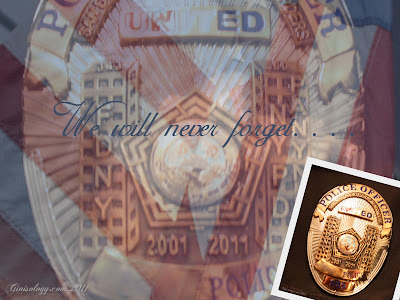 Many other agencies wanted to join in the 9-11 project but the time frame to manufacture the badges was quickly closing. That lead to the realization. Every police and fire agency across America should be afforded the same opportunity. 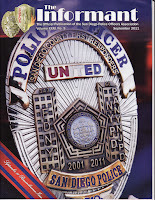 Starting in 2012, we will be asking police and fire agencies across the United States to join in a national project. We want to provide our EMS brethren the same opportunity EMS personnel had in San Diego in 2011. The national badge will be designed so it can be used year after year. Each year additional police and fire agencies will sign up for the 9-11 project. Our goal is to eventually have every police and fire/rescue agency in the United States wearing the same optional badge for the month of September. I'm catching up on reading blogs I admire, and you know that your blog is at the top of my list. You really have a "graphics" talent. Thanks for the touching post. Thank you for being here and I am glad you liked my post, Kathy. I have learned how to do a few "graphic" things from those that are far better than I and I have a long way to go but I do love trying and playing and learning digital scrapbooking. A very nice tribute. I like the blend of the shield into your picture. Thanks for sharing. Thank you, J . . . the commemorative shield is a wonderful tribute to 9-11 and beautifully designed, it's sad that we have to even have it but it will forever keep 9-11 in our hearts.